When you see the new Depmster's GlutenZero bread in the grocery store, you may think that it's just another Gluten Free bread on the market and pass it by. Well, it is most definitely not your average Gluten Free bread and it wows in several ways! I was a little skeptical the first time I held a package of Dempster's GlutenZero. Lets be honest, it's small and sorta feels like a dense banana loaf when you pick it up. On the bright side, this just goes to show that we should never judge before we taste! I nibbled on a piece before deciding what to do with it and I don't recall plain bread ever tasting or smelling so good! 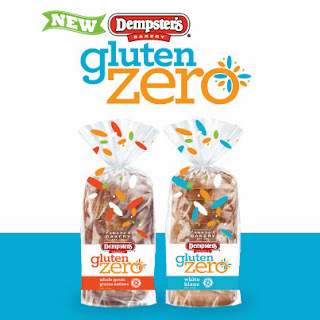 Dempster's GlutenZero may be small, but it is mighty! It is available in both Whole Grain and White bread for about $5.99 per loaf. I spent some time having fun with both varieties. I made everything from grilled cheese sandwiches and plain old toast to a hearty BLT sandwich and yummy french toast. As far as texture goes, this bread hits a home run. Not only does it hold together while eating a sandwich (take that, crumbly breads! ), it doesn't leave that all-too-common, sand-lodged-in-throat feeling. There is something different about this bread. Perhaps, it's the use of Tapioca Starch which helps the bread stay soft without becoming gummy in texture. It's great to finally have a light weight, Gluten Free bread that does not disintegrate upon touch! I love that this is a non-frozen bread and it can last (resealed, of course) at room temperature for about 5 days. Not a common thing in the Gluten Free world. No more waiting for a slice of bread to defrost! Another highlight is that the bread is produced in a Canadian, dedicated gluten free, facility. 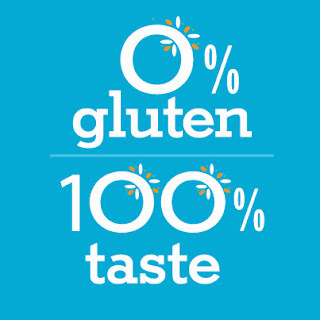 Dempster's has also gone the extra step of becoming part of the Canadian Celiac Association's Gluten Free Certification Program. It's great to see more and more manufacturers get on board with this program. It certainly makes me feel safe and like a valued consumer. *Disclosure - This is a sponsored post and I received compensation for it. My opinions are my own. I only work with brands that I trust and would use in my own home. Great post! I know I'm little late on commenting but I just tried this bread out recently and I am in love! Couldn't agree more with your review! I finally feel satisfied eating a gluten-free bread! Awesome review! Purchased my first loaf of Dempsters Gluten Zero his weekend and I am amazed at how similar it is to the bread "we" once loved. I will continue to buy Dempsters G.Z! Hard hit to the wallet but worth it!!! I had issues after eating the bread, and can't again. As it is certified by the CCA's Gluten-Free Certification Program, I'm thinking perhaps you may have an intolerance to one of the GF ingredients in the product.